AIM Athletics Gymnastics is recruiting experienced Compulsory/Optional Team Coaches (specifically bar/vault) to provide instruction for girls competitive gymnastics. We offer coaches a unique training experience, with an opportunity to be surrounded by some of the top coaches in the industry. Coaching/ spotting experience is required. Must have good communication skills, a willingness to strive for personal improvement and be a team player!! Go to employment tab for application instructions or call 281-419-5831 TODAY! 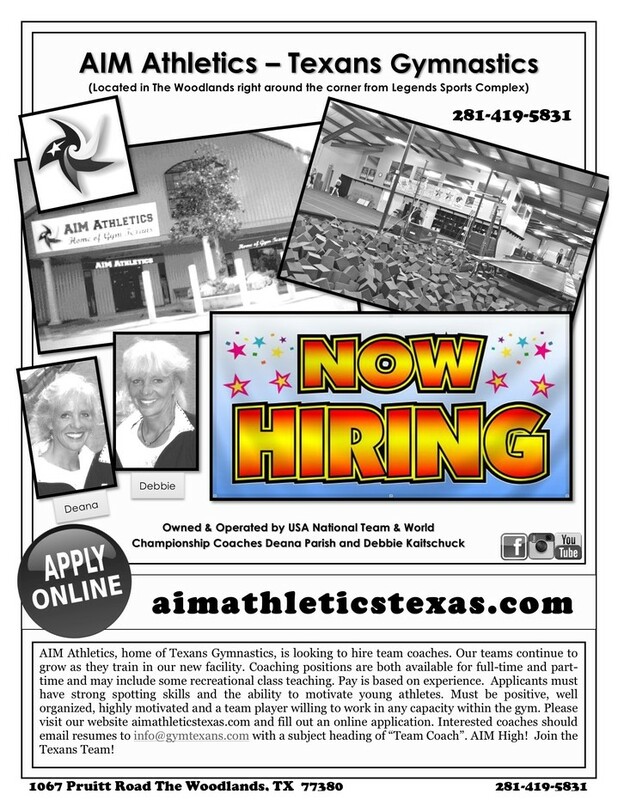 Interested in a job at AIM Athletics? AWESOME! 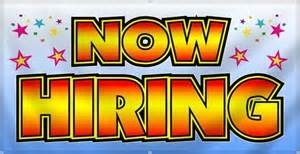 Send us your resume at info@gymtexans.com and we will contact you immediately! AIM High! Join us TODAY! AIM Athletics is always in search of highly motivated individuals with a super work ethic and passion for life to become members of its employee team. 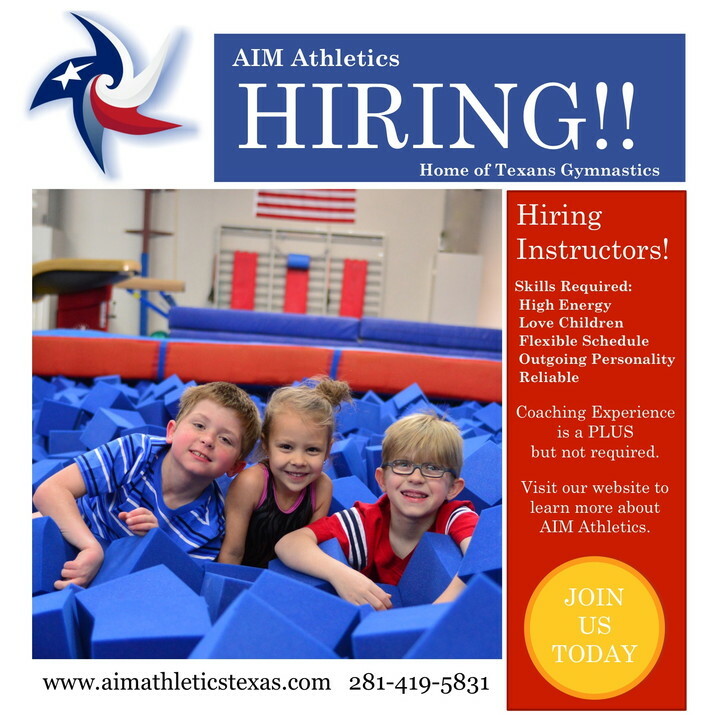 To apply for a position with AIM, we request that an applicant fill out the online application below completely and email to info@gymtexans.com. Click HERE to print out an employment application. Individuals who are invited to interview should bring a resume with them to the interview. All interviews will be conducted in our offices located at 1067 Pruitt Road, The Woodlands, Texas 77380.